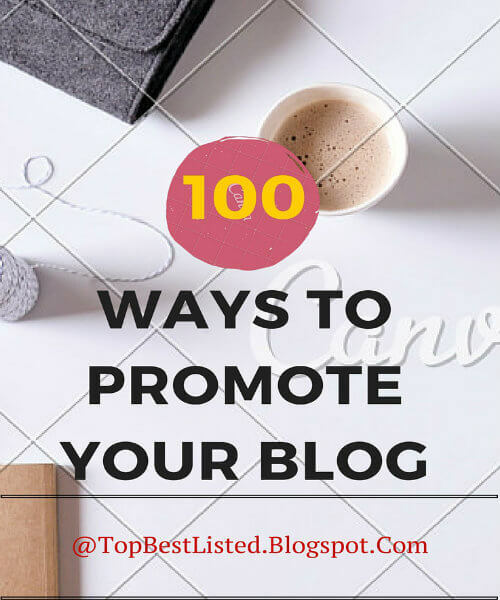 100 Ways to advertise and market your Blog online. Running a blog or website is not enough. You have to promote your blog or website through the right ( and many) ways to get the results you wanted when you started it! Blogging and running a website requires a lot of online marketing and promotions in order to make it popular online among those visitors who are interested in a blog like yours. Getting good number of online visitors is the top priority for every blogger who writes blogs in order to earn or make money online. We are going to start a series of posts that describe all the best ways (top 100) to market your blog/ website using online advertising, online marketing, SEO, blogging, Social media marketing (SMM), search engine marketing (SEM), web submission, content marketing, techniques to drive high number of daily website traffic via multiple means on the Internet. Place key phrases that explain your content in to the HTML, Meta tags on your site/blog's main posts and pages.Rotate these key word phrases in the content of your website's homepage. Strategic usage of keyword phrases could place your web content on top of various best search engines results, including Google, Yahoo, Bing. Submit your blog urls on as many good sites as you can, but the sites should be relevant to your content. Optimize your online advertising and marketing initiatives by detailing your website blog address on every good places on the Internet you visit. You should also print the web address of your blog on your personal visiting card , if any. Increase the usage of email signature on various online forums. List your blog on any sort of print marketing that you may do, including telephone directory, sales brochures, leaflets, and direct-mail advertising items. It makes a great first impression and most of them who see your blog url in print media try to open your blog online. Listing your blog url to the popular blog directories is very crucial part and it does wonders to your content. The reason is that you will get very high quality backlinks pointing to your domain which makes a great impact on search engines indexing your blog. Inbound links from high authority sites generate trust and reputation for your blog. Whatever the subject, there are countless individuals reviewing it passionately online. By adding to these conversation groups, you could educate your consumers and promote your blog or website content. Here is a list of best online forums for you to get started. Grow a mailing list from your blog readers and send them weekly newsletters based on the interest of your blog readers. Email Advertising and marketing is a great tool to promote your web articles and content. Have you not read our blog post on best online advertising techniques yet?